Look around you. This is the world you believe in. Despite accusations of “fake news”, this isn’t a fabrication. Right? But how would you discover the lies hidden in plain sight? “I’ll believe it when I see it” is a well-worn phrase, but nobody follows that through. Most of us believe what we read, and there’s an undercurrent of optimism there: we believe people generally tell us the truth, and any lies are told for the best. This is the world in which we find Bill Potts (Pearl Mackie), struggling to remember the actual truth. 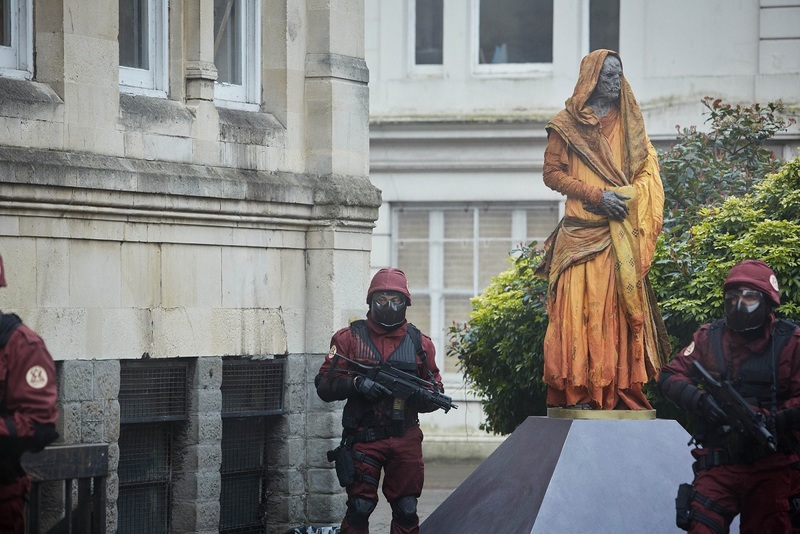 The Monks have only been here months – not since humanity crawled out of the primordial sludge, not saving us from Daleks, Cybermen, and Weeping Angels. Despite what the Doctor (Peter Capaldi) says. Because our world is filled with lies. It’s not a dystopia, as in The Lie of the Land, but we’re still saturated in propaganda. The episode is a distorted picture of our own society, just like all the best science fiction. Wearing its influences on its sleeve, The Lie of the Land is a reflection of both 1984 and 2017. It’s pure serendipity that this so-called “Monk Trilogy” came in amidst campaigning for a general election in the UK, when President Trump is changing the landscape of the Western world (it’s not for me to comment whether for good or bad), and when the world truly is a scary place. It’s a time when we focus on the problems in society, when we’re more attuned to politics, and when we really don’t know who to trust. Hopefully, that touching sentiment from the Doctor carries across to all viewers. If it inspires just a few to stand up for what they believe, in however small a way, The Lie of the Land will have done its job. Or one of them at least. Because it had a lot riding on it. The core pressure was the fact it’s the conclusion to an arc that began with Extremis two weeks ago. Just as that was a tale of fabrication, so too is The Lie of the Land, which acts as a very solid ending to an unsatisfying triptych. Three separate writers worked on this loose three-parter and each gave us something very different, perhaps pre-empting the apparent “writers’ room” that we’ll see under Chris Chibnall’s showrunning. We got answers to a few things, but various plot holes remain. The most notable is exposed by Extremis, a story which showed the Monks’ preparation was extensive. They created a computer simulation to map out the best way to conquer, but once they were here, they were a shambles. Their base was basically unguarded, and once humanity fought back, they just ran. Okay, it wasn’t that simple. Everyone was living under the illusion that the Monks were their saviours, so they might not have expected retaliation; the Monk at the centre of the pyramid was also powerful enough to fend off the Doctor, so any rebellious humans shouldn’t have been a problem. Still, the Monks didn’t feel like enough of a presence, and their retreat was hugely anticlimactic. Other strands from previous episodes are dropped: the Monks’ appearance, corpse-like iterations of us, goes nowhere – but then again, where could it go?! – and neither does their ship resembling a pyramid. Nardole (Matt Lucas) falling victim to the bacteria last episode is rightly swept under the rug too. That was likely only there to explain why he couldn’t have saved the Doctor using the TARDIS. I’m afraid I still can’t see there’s much point to Nardole, apart from as occasional light relief. He helps Bill out, but that doesn’t really validate him throughout. In fact, I feel quite sorry for Lucas, who doesn’t get a great deal to do. Dare I say, he’s this generation’s Kamelion? No, that’s far too harsh. I just wish writers could find a purpose for him. 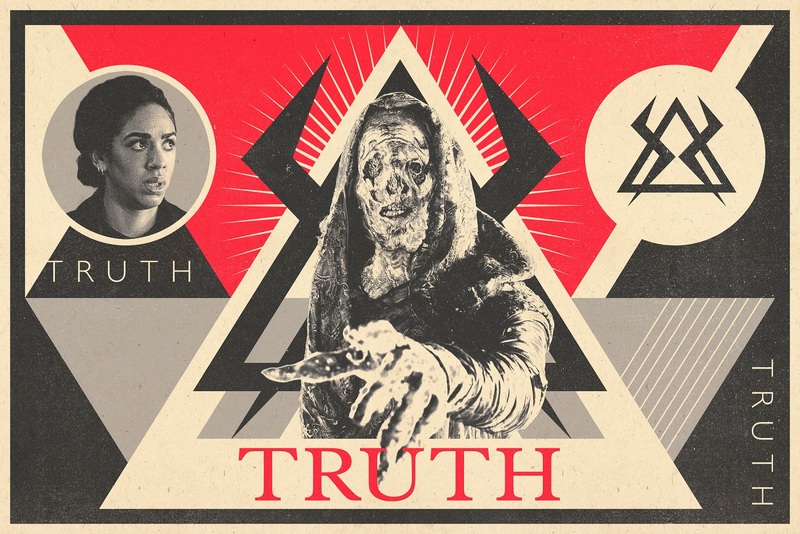 Even with the plot holes, The Lie of the Land was calling out to be a two-parter in itself, removed from Extremis, with The Pyramid at the End of the World remaining a neat prologue, and a whole episode dedicated to life under a fascist regime. It would’ve showed the Monks as a more credible threat, Bill’s struggle in a greater light, and hammered home the Doctor’s seeming betrayal. 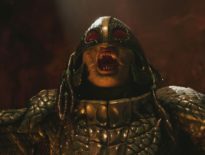 Toby Whithouse is one of my favourite writers, and a large part of me wishes he’d been announced as the next showrunner. I immediately loved Under the Lake/ Before the Flood, a serial which I think represents the very best of the Twelfth Doctor. With The Lie of the Land, he gave us a reversal of a key Whithouse trope. The Doctor confronting the antagonist, calmly talking out their problems and issuing a warning. Great examples of this are: the swimming pool scene with Brother Lassar in School Reunion; the Doctor threatening to tear down the House of Calvierri because Rosanna didn’t know Isabella’s name in The Vampires of Venice; and his working out that the Minotaur in The God Complex was a prisoner, begging to be set free. 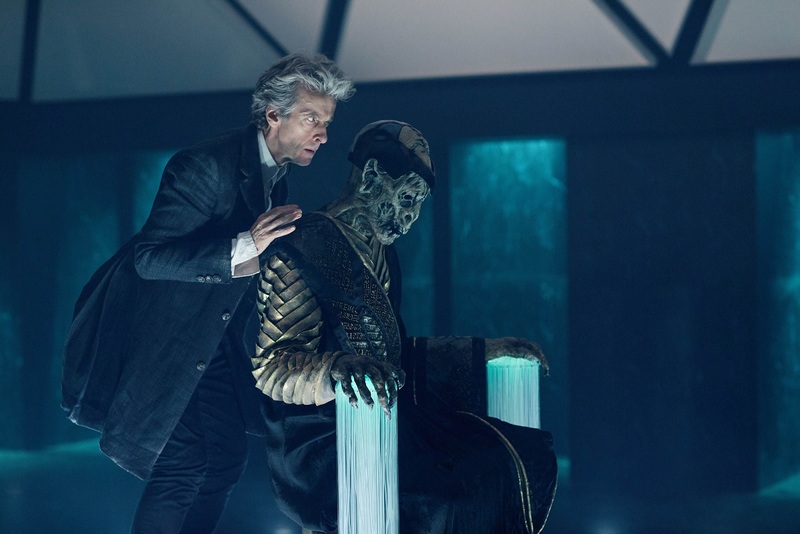 For The Lie of the Land, this was turned on its head, rather brilliantly, in one of the most notable scenes from Series 10 so far. Bill finds the Doctor and has to come to terms with his (admittedly considered) speech about our relationship with free will. And weren’t they just wonderful? 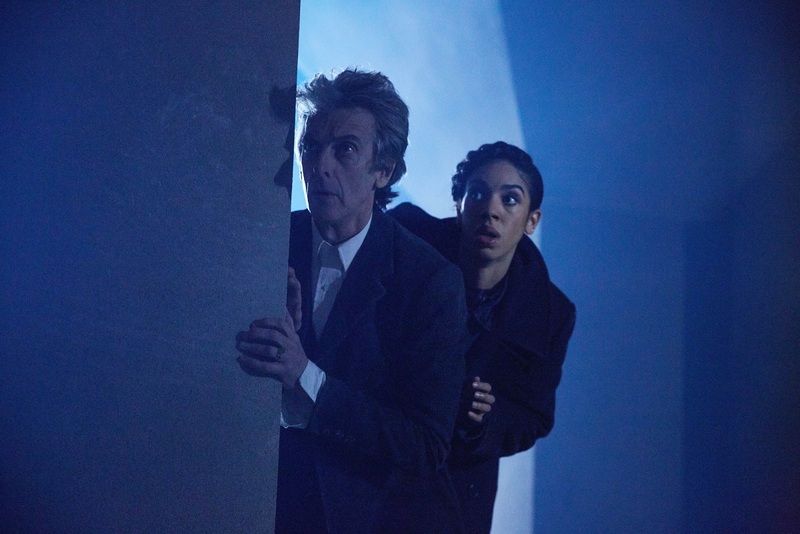 Pearl Mackie certainly showed why she was the perfect choice for Bill. 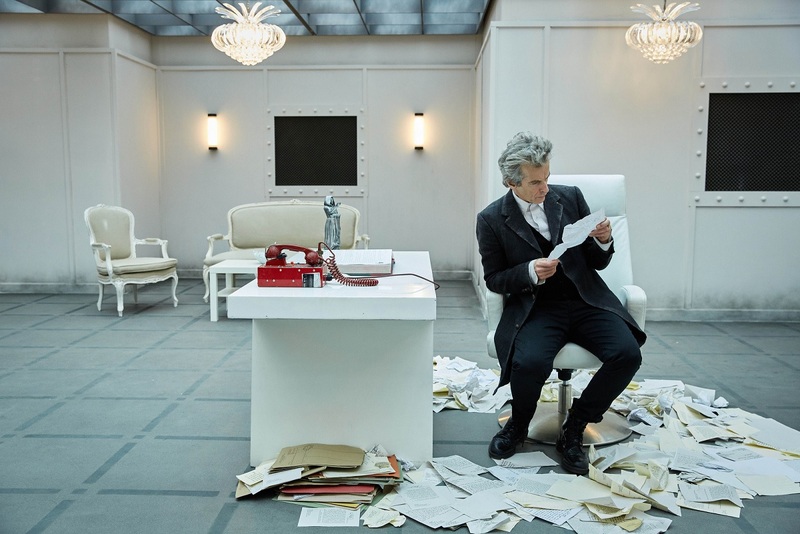 Peter Capaldi, meanwhile, seemed to flit between his harsher Series 8 personality and the lighter, more optimistic (if still grouchy) Series 10 outlook. The sole problem with this scene was the thing that made all the trailers. That fake regeneration. Why was it there? Well, to make the trailers. As Bill has no clue about regeneration, it made little narrative sense (and the Doctor’s getting pretty callous with his use of regenerative energy). Even the special effects looked naff. It was there, perhaps at the behest of Steven Moffat, to grab the attention of the audience. Fortunately, after that, we had the Doctor doing his best Die Hard 2 impression, commandeering another vehicle and bringing a war ship into dock. It’s impossible not to have a similarly wide grin spread across your face. The Doctor’s escape naturally puts the Monks on high alert, so there’s an increased presence at the university – which surely explains why the Doctor couldn’t use the TARDIS to get into the pyramid. 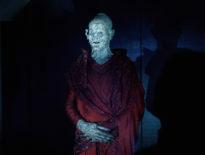 He’s there for Missy (Michelle Gomez), opening up the Vault to gain valuable information about the Monks. Her presence in Extremis felt forced, but here, worked perfectly. Except the crocodile tears at the episode’s end. Please tell me the Doctor wasn’t really fooled. Oh, but The Lie of the Land is all about being fooled. Much of the audience might be fooled into thinking it was love that saved the day, but it wasn’t solely that. It was another fabrication. Bill fought lies with lies, replacing this dystopia with hope. But hope is fictitious. It’s imagining that things will turn out for the best. Sure, the foundation of her love for her mum was real, but the rest was a lie. It was an optimistic fiction that acted as a light guiding society through the dark. I think that’s something we can all take something from. The Lie of the Land tells us there’s a power in fiction. You can find your own truth in lies. And while this certainly wasn’t the best fiction created by Whithouse, it has enough great ideas, fantastic acting, and lasting optimism to leave a positive impression. And that’s no lie.